Our two orchards are called Cicero and Pythagoras, and are part of Liberty Farm. These are unusual names which give a clue to the fascinating history of this part of Dorset. 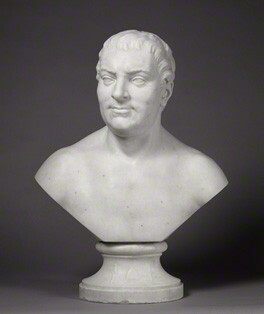 In the eighteenth century, Thomas Hollis (1720–74) inherited estates in Halstock and nearby. Hollis was a philosopher, philanthropist and free-thinker, a friend of Canaletto and Pitt the Elder, and a Fellow of the Royal Society, but his historical importance is only now being recognised. He was an advocate of the rights of the American colonists, closely associated with Benjamin Franklin and John Adams, and is regarded as one of the architects of American independence. He reprinted and distributed books on government which he donated to libraries inBritain and Europe and also to the States. Thomas Hollis was a particularly generous donor to Harvard University, after the library burnt down, and Harvard library’s electronic catalogue is called ‘Hollis’ in his honour. In Dorset, he named all the farms on his estate after either his heros or his ideals – Liberty Farm, Marvell Farm, Locke Farm, Springfield Farm and Harvard Farm are the farms that have survived, and the field names also commemorate his interests – Brutus, Cassius, Cicero and Pythagoras amongst many others. Hollis is shown in this picture by Canaletto from 1754, wearing a yellow coat and accompanied by his heir, Thomas Brand, his man servant and his dog. When Thomas Hollis died, on 1 January 1774, he had left instructions that he should be buried on his land, and that the ground should be instantly ploughed over, so that no trace of his burial place should remain. Closworth is today a small hamlet near to Liberty Farm, but for 200 years it was the home of one of the most important bell foundries in the area. Many of the churches in the West Country still have bells cast by William Purdue (active 1572-84), Thomas Purdue (active 1647-91) and their descendants. Four of the bells in Exeter Cathedral were cast by Thomas Purdue, and the bell foundry was still active towards the end of the 18th century.